Comprehensive due diligence to guide and support your investment decisions. The SCAS due diligence process can be implemented regardless of sector, industry or type of business. SCAS can deliver targeted due diligence in one particular area (e.g., finance) or a complete, turnkey solution that encompasses all disciplines relevant to a given investment, including legal and audit. By running the entire process, SCAS can ensure that all necessary information has been surfaced and all issues have been discussed. 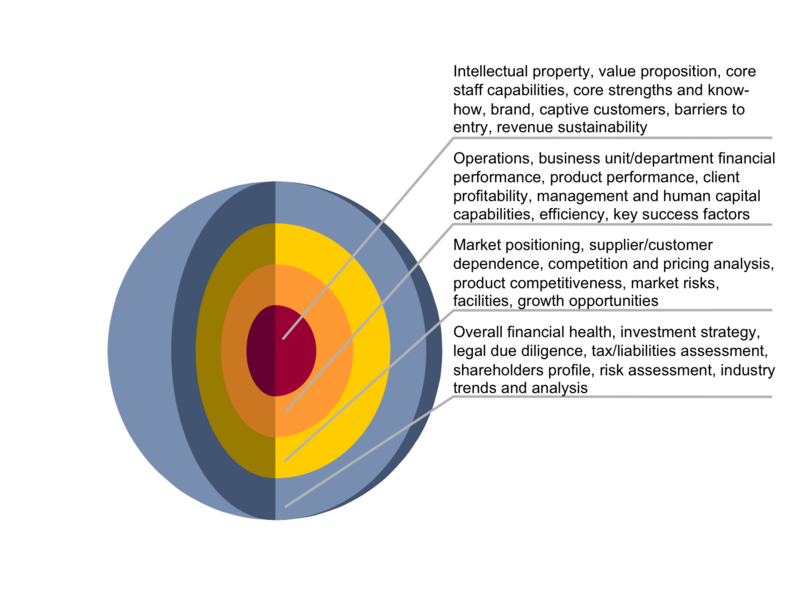 Using our proprietary methodology, SCAS performs opportunity due diligence to assess the opportunity from the core out.